Sea God and son of Poseidon. He had a man's form with his ending legs looking like a dolphin's tail and ruled the waves. 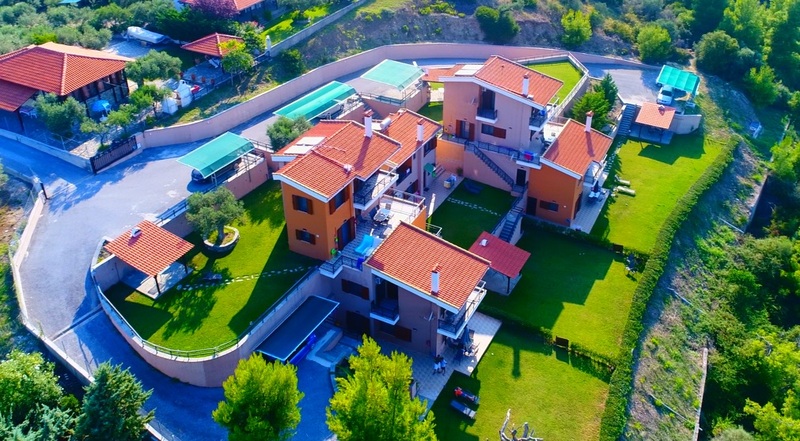 Seaview Villas complex contains five detached maisonettes POSEIDON, TRITON, NIREUS, PROTEUS, MERMAID. All of the maisonettes are suitable to accommodate up to six people during the summer and the winter months. Every one of them has its own independent surrounding area of 350m² to 500m² sown with grass with a barbecue pavilion and a parking space.